Earlier this month Irish-educated engineer Alvin White Orbaek finished working as a Junior Engineer on the Space Hotel project, an ambitious venture that is aiming to book in guests into outer space by 2012. RTÉ.ie: What inspired the creators of this project to build a space hotel - did Stanley Kubrick's cult classic '2001: A Space Odyssey' have anything to do with it? Alvin White Orbaek: The inspiration for the original design of the space hotel came from a vision the architects had. The image they were trying to portray was that of dandelion seeds. The original inspiration probably came from many sources including movies like Stanley Kubrick's cult classic. When I was working on the design I never stopped to ask what the inspirations were, as I had my own inspirations. RTÉ.ie: Obviously space tourists using this hotel are going to be tremendously wealthy - do you think space tourism will ever be accessible to people on an average income? AWO: In order to succeed as a market entity the space tourism sector needs several things to happen. Space tourism is expensive by necessity. Currently, access to space comes from large rockets that cost millions of dollars to launch, never mind to develop. Space tourism needs a cheaper access to space in order to become a sustainable fiscal enterprise. There is an interest in space tourism now and by utilising this market, funds are being fed into helping the space industry. Space tourism is raising the profile of the space sector for the average person. At the moment it is still just a rich person's game, but soon I would hope that the necessary technologies would be developed that could lower the cost of space access, and then this cost could become accessible by someone with an average income. RTÉ: Do you know if people have already booked in for a stay? AWO: I am not aware if there are, but plenty of my friends and professors have asked for the off-season prices already! 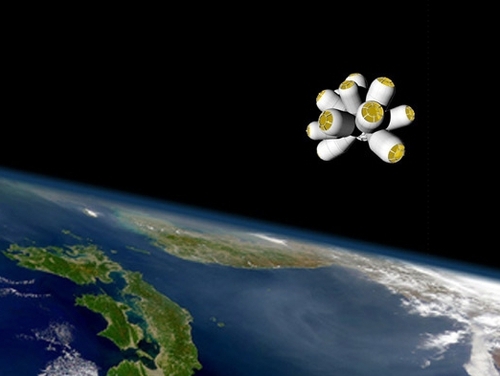 RTÉ: It sounds like a great idea, but do you think the space hotel will open by 2012? AWO: 2012 is only five years away; this is a very very ambitious time line. 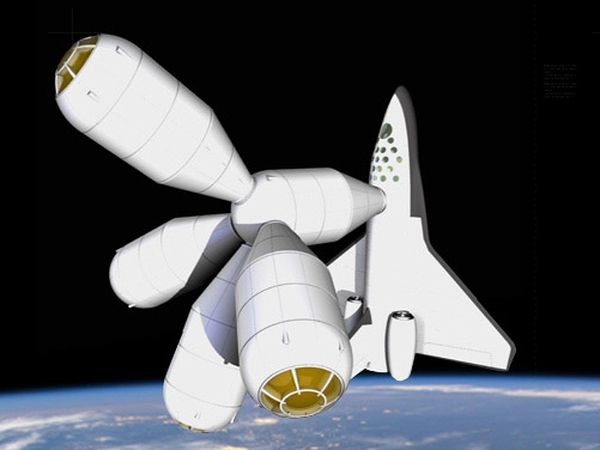 Traditional space projects can spend five years on the drawing board alone, before a design or instrument has been confirmed yet. But, this is not a traditional space project and actually space tourism may prove to re-write the way space projects are conducted. RTÉ: What is the biggest challenge to overcome in this project? AWO: Human safety is the biggest issue for a human-rated space system. Making it moderately safe for trained members of the public to engage in leisure activities while hurtling around the earth at 7km per second. Making the internal environment of a space station safe and comfortable, making the hull secure against the external environment, planning the mission with all possible contingency situations and then making sure the passenger feels a sense of satisfaction are all challenges to be overcome. RTÉ: When the guests arrive at the space hotel for their visit what will they do for the three-day stay? AWO: Tourists will be in 'weightless' environment, for some people this could offer severe pain relief and or for others it could be new physical experience. While in space you will be able to look back to the Earth and from that distance you should be able to see the Earth curving around. Also in the space environment the light from the stars will appear far more brilliant. The architects of the island complex are planning it with great detail and enthusiasm. Various activities are being catered for, which will include training and exercise, gazing to the moon, the stars, and the earth. There will be a spa module with a proposed flotarium where passengers could immerse themselves in water while floating around freely. RTÉ: What typical hotel luxuries and activities will guests have to forgo in the space hotel? AWO: Space in the hotel will be slightly more confined than in a terrestrial environment. I do not think this will be a major hindrance, but maybe some people will find this so. The good thing about the mission design is the three-day stay will allow for fresh food to be brought aboard, as opposed to the dried foods that astronauts eat. Cooking and preparing meals will prove a challenge in the hotel. RTÉ: Traveling on our planet already has an environmental cost - have you calculated the impact the space hotel will have? AWO: The environmental impact was talked about on several occasions, but until a final design or the mission plan is decided there is a lot that is left unknown. The whole team was considerate to the possible negative effects of their hotel. RTÉ: If you had the opportunity, would you visit the hotel, and if so, what would be the highlight of the trip? AWO: I would quite gladly visit the hotel once it has been prepared, I would love to go to space. For me there would be two major highlights. The launch phase or the way up to the space station would be completely exhilaratingly for me. Once up there I think the view of the earth in the immensity of space would be awe-inspiring. RTÉ: After the recent round of Leaving Cert results there has been a lot of criticism about the way science & maths are taught in Ireland - did your studies here help you get to where you are now in Rice University? AWO: Without a shadow of doubt, my studies helped me get to my position at Rice University. The education I received in Ireland was great because it gave the background and showed a proven ability for learning. In my Leaving Certificate and Junior Certificate years I had both good and bad experiences with my science teachers. Thankfully I never had an experience that took the sense of wonder out of my sails. Alvin Orbaek White grew up in Co Clare and completed a BSc in Experimental Physics at NUI Galway. He partook in the International Space University programme in Strasbourg in France and earlier this month he completed his work as a Junior Engineer on the Space Hotel project. He is now a studying at Rice University for a PhD in Chemistry.